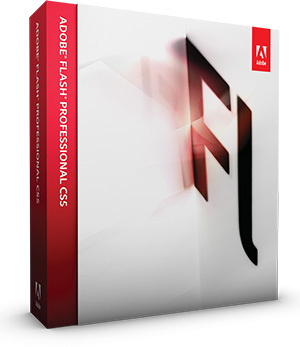 Flash Pro CS5.5 Now Available For Instant Download! Create and deliver rich interactive content. Adobe® Flash® Professional CS5 is the industry-leading environment for interactive authoring and delivery of immersive experiences that are presented consistently across personal com­puters, mobile devices, and screens of virtually any size and resolution. Design expressive content with professional typography and pixel-precise drawing tools, write code precisely and efficiently with code completion and customizable code snippets, and deliver superior-quality video to audiences practically everywhere. New text engine – Take control over your text with print-quality typography via the new Text Layout Framework. Work with columns and bidirectional text, and main­tain layout and formatting with greater fidelity when importing from other Adobe products. XML-based FLA source files – Manage and modify projects using source control systems and collaborate on files more easily. An XML-based nonbinary implement­ation of the FLA format allows projects and associated assets to function as items in a directory or folder. Code Snippets panel – Quickly include functional code for timeline navigation, actions, animation, audio and video, and event handlers. Reduce the ActionScript® 3.0 learning curve and promote greater creativity by injecting prebuilt code into projects. Enhanced ActionScript editor – Increase development speed with an improved Action­Script editor, including custom class code hinting and code completion. Start projects and grasp the fundamentals of using ActionScript code more quickly, or reference your own code or external code libraries more efficiently. Improved Adobe Creative Suite® integration – Enhance your productivity and workflow when using Adobe Photoshop,® Illustrator,® InDesign,® and Flash Builder.™ Leverage the FXG graphics file format and integration with Adobe Mini Bridge for digital asset manage­ment. Distribution of content virtually anywhere – Deliver consistently across screens of virtually any size and use Adobe Device Central for enhanced testing. Distribute, track, and monetize applications on social networks, mobile devices, and desktops via Adobe Flash Platform Services. Flash Professional CS5 also includes the Packager for iPhone to publish applications for the iPhone. Adobe Flash Builder integration – Use Adobe Flash Builder software as your primary ActionScript editor for Flash Professional projects. Streamline your workflow by testing, debugging, and publishing content in Flash Professional while already editing code in Flash Builder. Spring for Bones – Create more realistic inverse kinematic effects with new motion attributes added to the Bones tool. Strength and damping settings provide more realistic and complex physics movements within a simple and familiar user interface. Video improvements – Streamline video embedding and encoding processes with on- stage video scrubbing and a new cue points property inspector. See and play back FLV components directly on the stage. New Deco drawing tools – Add advanced animation effects with a new comprehensive set of brushes for the Deco tool. Quickly create movement for particle phenomena like clouds or rain, and draw stylized lines or patterns with multiple objects.